This small radio and Bluetooth speaker features great sound quality. 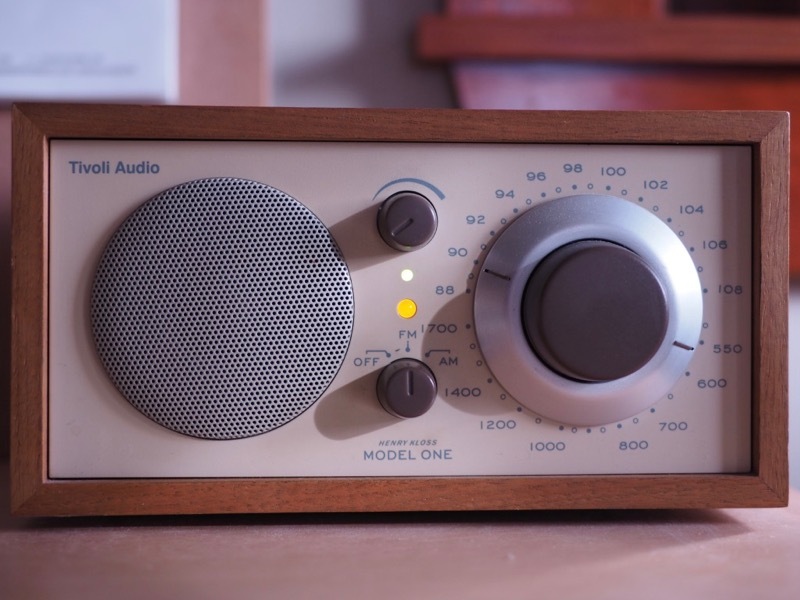 The combination of simplicity, style and strong sound quality distinguish the handsome Tivoli Model One Radio (and Bluetooth speaker, for some models). Yes, the output is monaural, but for ambient listening the little Tivoli Model One performs terrifically. One secret behind the sound quality is the radio's hollow center cavity and underside portal, which is not apparent to the eye. This radio sounds as nice as it looks. "Style" (in quotes) is rampant in the realm of small audio devices, especially among Bluetooth speakers and so-called "smart speakers", but unfortunately most of this style features formed plastic. For most of these speakers, their plastic design disqualifies them. The Model One too has a plastic faceplate and plastic knobs, but the design discretion de-emphasizes plastic and emphasizes functional form over stylized aggrandizement. Its small footprint enhances its usability as well. The Invaluablist Tivoli Model One is almost 20 years old, but continues to output Tchaikovsky like the day it arrived. Clock radio with Bluetooth is great for bedrooms, but at a price premium. A handsome, high quality Bluetooth-speaker-and-radio-in-one is an invaluable guest room addition. They are great for welcoming arriving weekend guests to their rooms with the radio tuned to a classical station (a trick I learned from business-trip Ritz Carlton hotel stays). But, anymore, most guests have smartphones, and thus have ready access to their preferred audio sources. And of course most smart phones function as alarm clocks today, but offering a room clock (and a wake up alarm as well) is a simple, elegant addition to anything but the most discrete decor. I do not love the price premium of the Model One featuring the clock, but doubtless it would be an appreciated guest room perk.